The Web has most certainly democratized data in the real estate business. 20 years ago brokers maintained almost complete control over listing information. I think the shift in the balance of power has been a good thing. Well informed consumers can be a handful during the sales process (How can they be asking $450,000 for this, the tax record says they only paid $425,000 two years ago!). 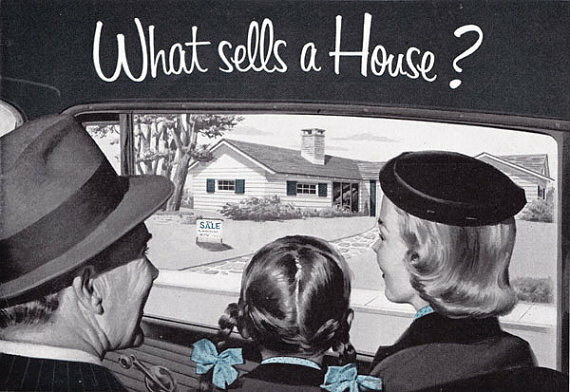 But I’d argue there has never been more interest in residential real estate than there is today and better educated consumers almost certainly lead to more as well as more efficient transactions. While the technological and information changes of the last two decades have altered the roles of consumers during the home buying and selling process, the impact on real estate brokers and agents has been seismic. In the early 1990s a typical real estate agent would pick up the weekly MLS book and check new listings for clients. Then he or she would make a couple of showing appointments for the week and arrange to pick up the keys from the listing broker. The sales contract was one page. There were no home inspections or disclosures. The transaction all happened at a rather genteel pace. Fast forward to 2015 and consider a snapshot of the day in the life of your average agent. She wakes to find 75 emails, 12 text messages and 3 voicemails on her iPhone. One text is from another agent saying that their closing - scheduled for noon - has been postponed for 3 days (mental note: must console irate buyer and reschedule moving truck). One voicemail is from her 10 am buyer appointment adding 4 houses to today’s list of showings. There are two emails from divorcing spouses who can’t agree on when to list their house or for what price. There is another text from a client who closed last week and woke up to find an inch of water in his finished basement. At 2 pm, the agent is meeting a new client who wants to write an offer. Including disclosures, agency and brokerage forms, an average sales contract is now 17 pages and the transaction includes coordinating a home inspection, radon inspection and pest inspection as well as navigating financing and appraisals. In addition to juggling the onslaught of minute-by-minute communications and the legal, ethical and regulatory complexities of modern real estate contracts, an agent is expected to have mastery over an arsenal of tools and gadgets that would confound James Bond. At minimum an agent will utilize the following in her day-to-day business: Zillow, Trulia, Realtor.com, and other sources of MLS listing data; customer relationship management, transaction management and email marketing software; search engine optimization, mobile apps, GPS and property valuation databases as well as smartphones, tablets and desktop PCs. She must create and manage an engaging social media profile on multiple sites and keep track of reviews from past clients. She should determine the best way to build and regularly communicate with her sales prospects and other “leads”. As a listing agent she needs to assess the best places and the proper investment levels to advertise homes in print, online and other channels. Additionally she should keep track of consumer visits to and interaction with a plethora of real estate websites and report these findings to her clients. As a buyer’s agent she must constantly check the MLS (and her network of other brokers) for new listings and clear her calendar at the last minute to make way for showings. Today’s successful agents play a dizzying variety of roles: therapist, economic advisor, conflict resolver, negotiator, technology savant and community ambassador (to name a few). What I find most fascinating, however, is that the most essential attributes of the best real estate professionals have hardly changed at all in the last 20 years. First, the most important characteristics of any real estate agent are honesty and integrity. Agents have a fiduciary duty to their clients and an ethical responsibility to their clients, brokers and the other professionals with whom they interact. Second, every outstanding agent I know shares one common trait (in addition to being honest and ethical): he will put the needs of his client above his own. He is totally candid about his opinion of properties and won’t hesitate to caution a client against purchasing one. In a 100% commission-based business this means sometimes delaying a potential payday. Third, great agents are committed to constant improvement. Sometimes that means pursuing additional credentials like Certified Residential Specialist or the Graduate Realtor Institute designation. Often it means just committing oneself to getting a little bit better every year at one of the myriad things people expect of their agents these days (technology, customer service, marketing, etc). Finally, there is no substitute for hard work. Almost without exception, show me an agent who makes a lot of money and is well-respected by clients, other agents and the community and I’ll show you one who works 7 days a week and usually 8-10 hours per day (I’m not saying it’s healthy but I see it every day). So, while it’s true that facets of the industry will continue to change at an incomprehensible pace, it’s comforting to know that the foundations of all great real estate professionals are as immutable as the industry’s most widely repeated adage: location, location, location. © 2015 Jay Gulick. All rights reserved.